The Indian railway system is very complex and demanding. It takes a while to understand its procedures. When you go to purchase a ticket you have a vast amount of options. The procedure for booking is also complicated with confirmed seats and waitlists. As an India Someday client, your only hassle with train travel in India is being able to recognize the different classes available. The rest, you can leave to us. 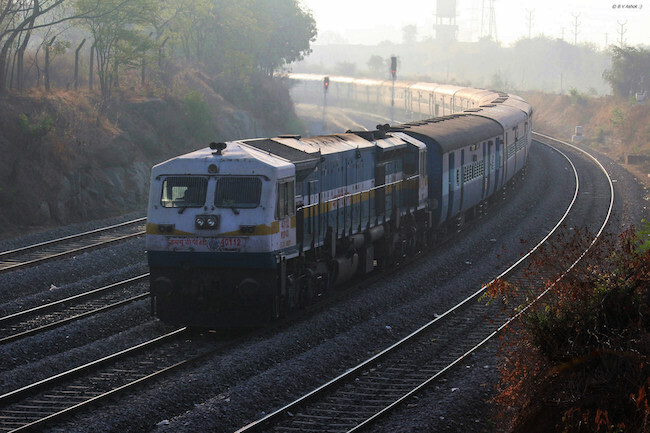 What different train classes exist in Indian trains and which one suit your needs? This is a coupé with four or two beds, a lockable door and an attendant. 1 AC is a very comfortable way to travel. The berths convert to seats for daytime use. It is found only on the most important long-distance trains and costs about twice the price of 2 AC. The attendant will help make your beds and assist in a more personalised way. The windows are slightly tinted and do hamper the view a bit, but you can see the scenery change as it speeds by. Each bed has a reading light and an electrical power socket to charge your electronic devices. The washrooms have a western style WC, and are normally equipped with toilet paper (but it’s always better to carry your own, just in case). They are usually very clean and well maintained. 2 AC is not too different from the 1 AC. It does not have a lockable door and the additional space for luggage. It is very comfortable and the bedding (pillow, blanket and bed sheet) is provided. The air-conditioning can fluctuate and so the temperature may vary. It may get very cold, but overall it’s a great experience. For people over the height of 6.2 ft. your legs might stick out of the berth. Even in the AC 2 tier, the berths can be pulled down and converted into seats for daytime use. Each AC 2 tier also has a reading light and electrical power sockets for all four passengers. The washrooms have normally very clean Western and Indian style toilets but depending on how the other passengers use them, their usability decreases. The AC 3 tier is the cheapest of the air-conditioned options. The only discomfort is that instead of being 2×2 seating it is 3×2 seating. It has three tiers of bunks – upper, middle and lower on one side and two bunks on the other side of the aisle. It’s more crowded than 2 AC, and lacks the privacy curtains and individual reading lights found in 2 AC. You are still provided with bedding for overnight trains. Unreliable at times, there are power sockets to charge but they also have to be shared with the other passengers. The washrooms have Western and Indian style toilets, and just like in the 2 AC, might get less usable as more people use it. This is a great way to meet locals who speak considerably good English and to still travel authentically. This is non-air-conditioned and available in a 3×2 seating style, a replica of the 3 AC tier. This is the way most Indians travel and can get quite crowded. Every single train has multiple sleeper class compartments. Bedding is not provided, so bring along a blanket/sleeping bag for longer journeys. The sleeper class is very basic and the bathroom hygiene can be below par. There might be plug points for charging. However, you get a great view of the countryside compared to the AC coaches, where the windows are sealed, tinted, and sometimes dirty. Summer journeys can get hot, but with the ceiling fan and breeze while moving it tends to cool down. During monsoons the windows have to be kept shut so it can get quite stuffy, but the views are the most spectacular. Winter journeys on the other hand can be quite cold so wrap yourself up at night and bring appropriate clothes. This is a good choice for more adventurous backpackers ready to experience India with the locals. A great way to share stories, songs and food with locals to lighten up the journey. Normally trains making shorter journeys and certain frequently travelled business sectors have AC chair cars. These have a similar layout to an airplane and have overhead space for your luggage. They have common charging plugs, 1 plug for 3 passengers. Great for day trips, the bathrooms are clean and basic, with Western and Indian style toilets. The Non-AC chair car is a little more cramped than the AC one and has no power outlets. These are recommended for daily travellers and tourists often do not choose this class. When tickets are hard to get, a 2 to 4 hour ride can be enjoyed in this class. We recommend emptying your bladder before these short trips, as the WC will not be perfectly hygienic. This is an experience only for the seasoned backpackers, used to heavy and intense crowds. It has wooden or padded plastic seats and you will see large groups of Indians fighting to secure a seat in this train. It is the most economical and hassle-free for booking, so be prepared to be extremely crowded and still have people coming into the train. Of course, the ideal thing to do would just be to pick out all the destinations you want to see, give us your preferences in terms of train travel in India, and let us do the work. Nevertheless, even the most expensive classes are relatively cheap for the distances being covered. But you don’t have to worry about booking anything, that’s on us. 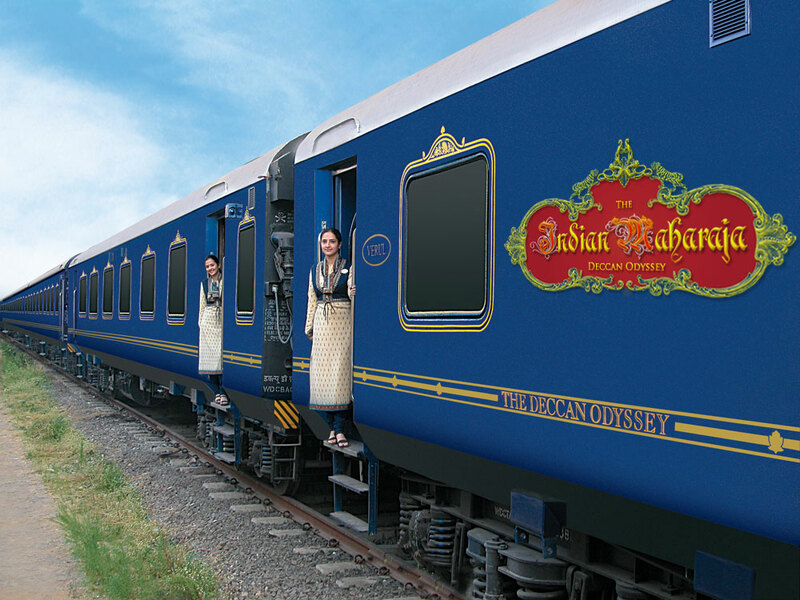 Contact us here if you’d like start planning a train journey through India. What can you expect of Train Travel in India? 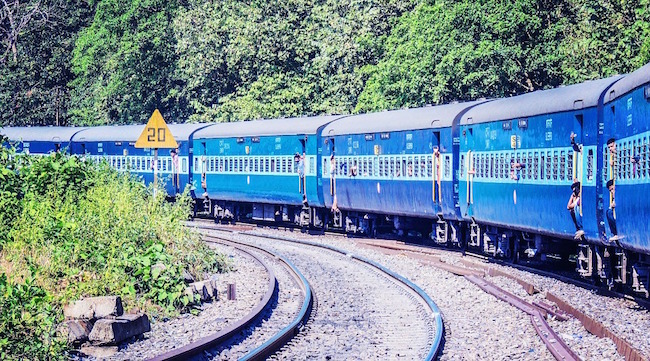 Again, the Indian railway system is confusing and vast, but here are a few simple tips and facts that will help in getting ready for train travel in India. 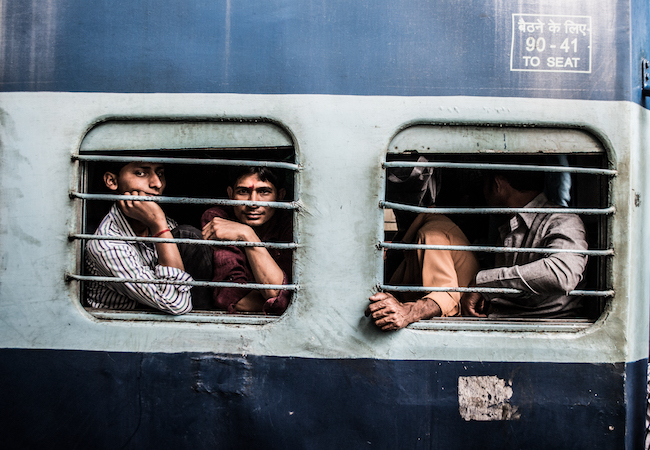 Indian railways transport close to 18 million people daily. So when travelling by train you have to book your tickets as early as possible. Else chances of getting reserved seats can be hard. You are allowed to book tickets only 120 days before your date of travel. Or in some trains even just 30 days prior. Unless you are backpacking and have lots of time on your hands to wait to get a confirmed ticket, booking well in advance is required. Around 18 million people use the trains daily. You’re allowed 120 days in advance to book tickets; so the earlier they’re booked the better. Some trains only can be bough 30 days prior. Unless you have the time to wait for confirmed tickets, booking well is advance is required and highly recommended. Some slightly shorter trains have a first class, but they normally have 24 to 32 seats in one 1 AC car. It’s very difficult to get these tickets, but 2 AC and 3 AC are very nice and comfortable and provide the experience you’re looking for. If you’re looking for a luxury train experience, you can find some of the most luxurious trains in the world here. For the undecided foreign traveller, you can purchase a few tickets under a special quota which are reserved for foreign visa holders (not if you are registered in India). You can do this only once you reach in India at certain train stations and we are not able to book them for you. In season (October to March) even these reserved seats get sold out within a blink of a eye so you can’t expect to get one of those tickets last minute either. For an undecided foreign traveller, there is a special quota reserved for foreign visa holders to purchase some tickets. You can find them in certain train stations and we can’t get them for you. Nevertheless, between October to March, peak season, even these tickets sell out quickly so don’t get them last minute either. Here’s more detailed information about this type of ticket for foreigners. For example, there’s a plethora of options to choose from between Mumbai and Delhi, but choose ones that start and end in your origin and destination. Trains that arrive from somewhere else and stop where you are have a higher likelihood of being delayed. We ourselves waited 6 to 10 hours at train stations because of this. If you want to check out some of our best train routes, here is a good place to start. Carry your own food during trips unless you are open to eating a little questionable food at train stations or from the train pantry. The food here is delicious (at times) but we do not advice eating too much if you do not have a well trained stomach. So carry some sandwiches and snacks to keep you satisfied. If you have to eat a meal on the train, try and get something freshly made at the station but don’t miss your train if it starts tooting and moving. The bathrooms can get a little dirty after continuous use from other passengers. Carry toilet paper, soap and maybe a can of deodorant to spray before using it. The AC compartments mostly have western toilets and are not very dirty but still better to be prepared always, especially on long train journeys. Now if you can’t wait to board the trains of India and travel across the country in a comfortable and authentic way, get in touch and plan your trip with us. Backpacking in India - Here's what you need to know!